A one time bank manager followed by 22 years as a pro wedding & portrait photographer; I'm now happily retired seeking to re-kindle an earlier enthusiasm for landscape photography, with the only pressure to succeed coming from within. Christine Lavanchy is a self taught artist, painter and photograph, living and working in Switzerland. She has been fascinated by nature and almost all her work reflects this fascination. 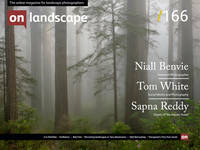 I am an Italian landscape photographer living in UK. To me landscape photography is a perfect match, I love being outside: the sense of isolation, the mountains and the empty beaches in the first light of morning or the epic soft light at sunset... the mood felt when you're there is hard to tell; it's simply great and I need it always some more! My camera is the way I create a connection with the elements and my images always try to share exactly how I feel when I am in the outdoor. I don't consider myself shy but living in a super busy capital like London where squeezing, queuing and running everyday simply leads me to look for a bit of peace and quiet away from the crowds. I am an amateur photographer based on the Taunus Range, a mountain near Frankfurt am Main, Germany. I have no formal training in either art or photography. Since four years I try to improve my skills on Landscape Photography, and as a member of a Photo Club I took part in some Exhibitions.